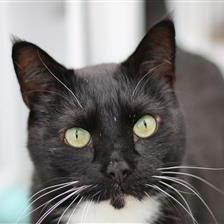 Friendly and affectionate Rupert is looking for his new forever home. He loves being outside in the summer, exploring and sunbathing. In the winter, he much prefers his home comforts and stays at home to snooze the day away in the warmth all warm and cozy. He is not very keen on other cats so ideally would like to be an only cat. Want to know about Rupert? Then please click here to read more! This handsome boy is Marni. He says he enjoys spending time with people and will be your best friend once he gets to know you. Find out more about Marni here. What a beautiful lady is Velcro! 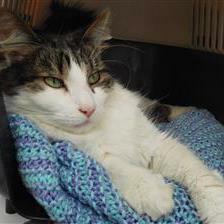 She was taken to Wood Green with her sister Lacey and likes to drink from a running tap. 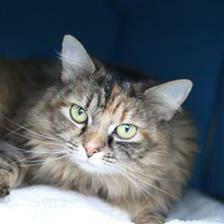 She also enjoys playing in the children's activity centre and also loves to go outside to chase moths and butterflies! If you are interested in offering this lady a forever home please click here. My human is a little bit in love with Velcro. I love Rupert's white whiskers! Velcro is such a unique name for a kitty. I wonder how she got it. All three kitties are gorgeous. They are all such beautiful cats! We are so grateful to you for helping them find homes. We will share!